Kanger Tech just keeps getting more and more innovative with their products. They have broken ground on MODS with their Kbox series, and just when you thought we saw all they had to offer, they hit us with the Subvod Top Tank Nano. The Subvod Top Tank Nano keeps the features of the newest electronic cigarette technology but in the shape of the older ego models. The Subvod comes with the Top tank Nano which is moving fast to the top of the ranks as one of the best sub ohm tanks currently on the market. Its ability to fill through the top has eliminated a lot of problems such as stripped threads and messy liquid fills. 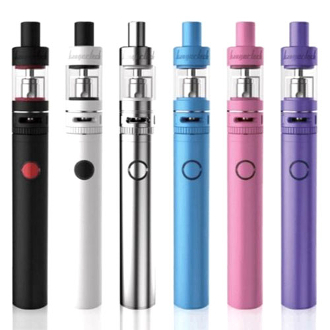 This kit is designed to give you the best vape qualities from current models but with the ease and comfort of the ego pen design we first became used to. It has a one button vape making it an easy to use cloud filled hit with each exhale. So take full of advantage of the Subvod Top Tank Nano, and experience the best of both worlds... old and new!